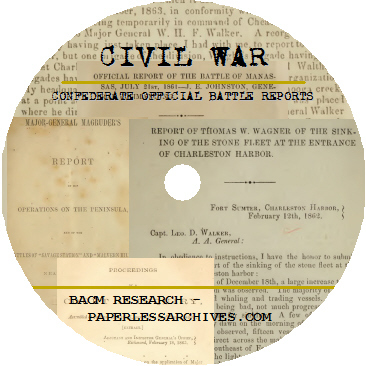 3,371 pages of official reports on Civil War battles created during the Civil War by Confederate military forces and the Confederate Department of War. These volumes were printed in the Confederate States of America between secession from the Union and the surrender of the Confederate military forces. 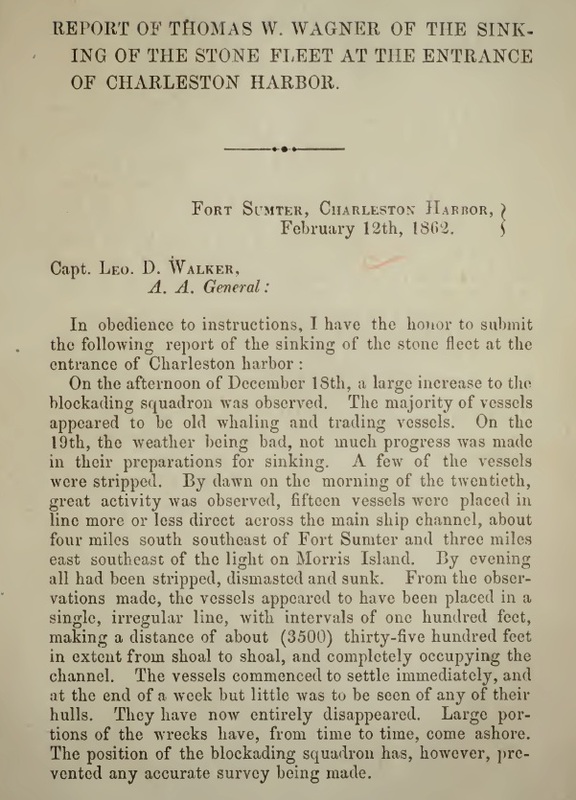 Report of Affair at Port Royal Ferry on 1st January, 1862, J.C. Pemberton, Brigadier-General Commanding (1862) - By Confederate States of America Army. Fourth Military Division, South Carolina. 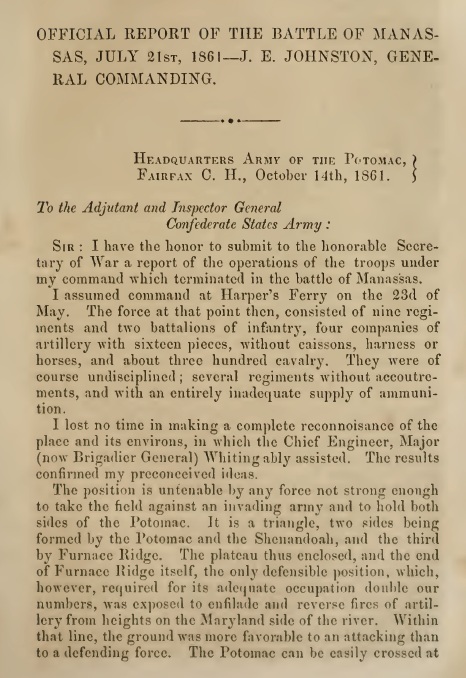 Letter of Secretary of the Confederate Navy Covering James River Squadron at Battle of Hampton Roads (1862) - "The official report of the naval engagement between the James River squadron, under the command of Flag Officer Franklin Buchanan, and the enemy's fleet, in Hampton Roads, on the 8th instant." 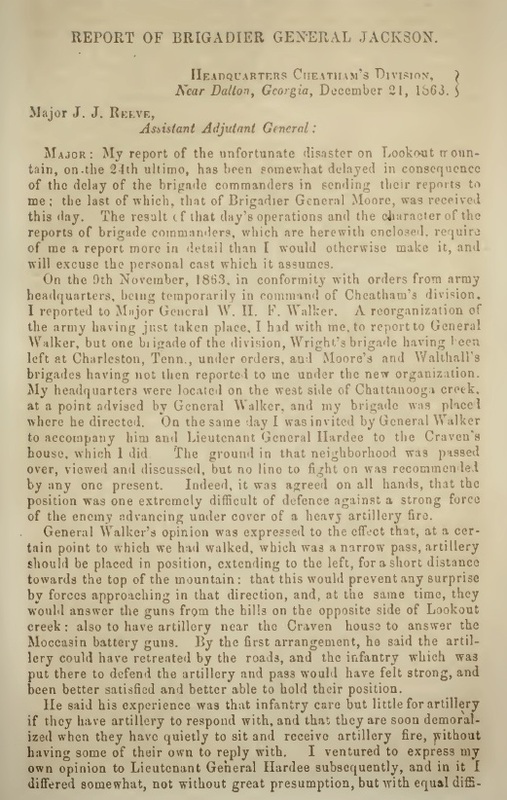 Report of Brigadier General Echols, of the Battle of Droop Mountain (1864) - Battle fought Nov. 6, 1863. 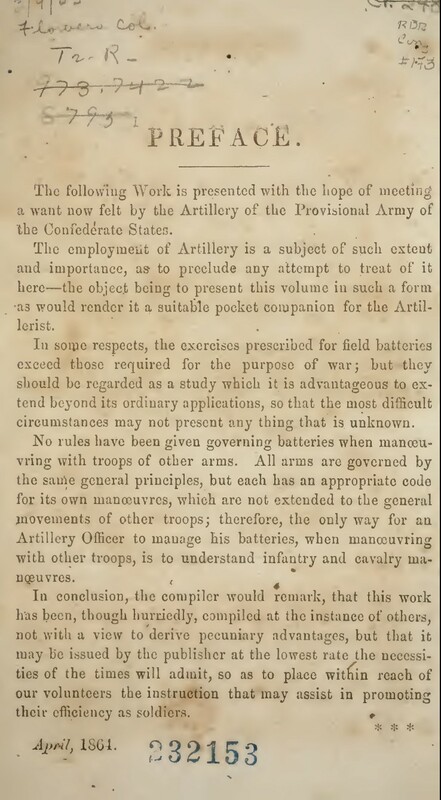 Report dated Nov. 19, 1863, from Headquarters First Brigade, Army Southwestern Virginia. 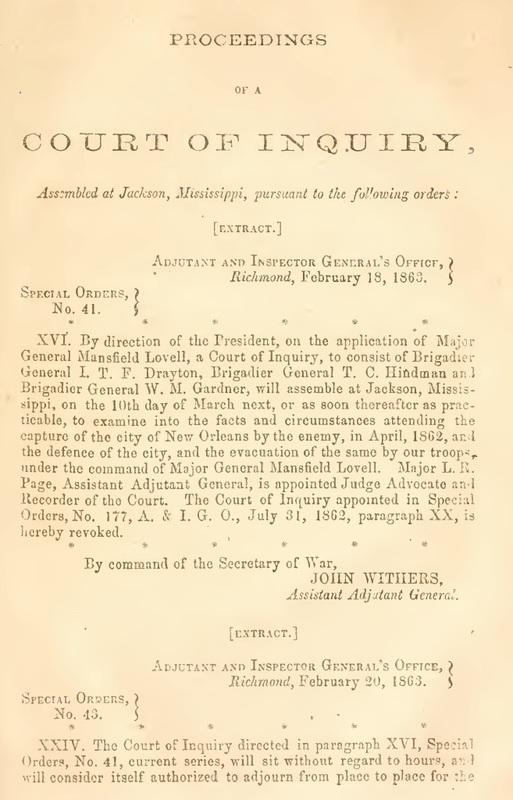 Lee's Dispatches; Unpublished Letters of General Robert E. Lee, C.S.A., to Jefferson Davis and the War Department of the Confederate States Of America, 1862-65, from the Private Collections of Wymberley Jones De Renne (1915).